Ride the most spectacular trains and railways on the planet: the Flèche d'Or in France, the Challenger in the US, the Rocky Mountaineer in Canada, the Flying Dutchman in England, China's QJ Steam Trains, Jordan's Hedjaz Railway, and many more. Travel Yellowhead Pass in Canada, the Garden Route in South Africa, and the Cumbres and Toltec in Colorado with its rugged, scenic views. 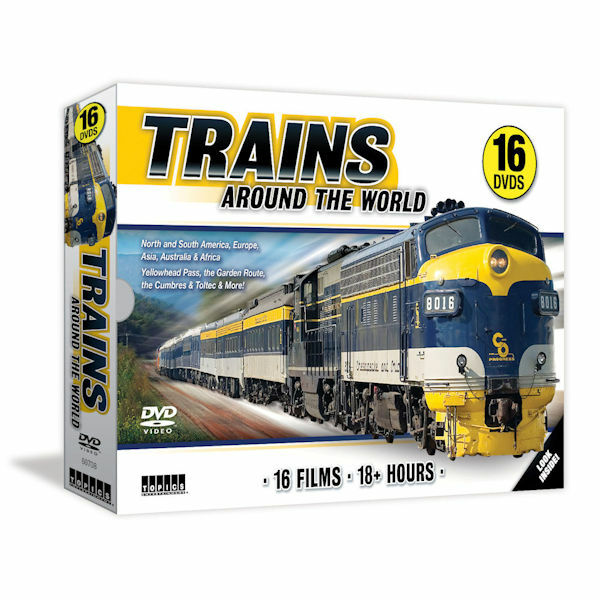 A collector's set for the train buff, handsomely packaged. 16 films, 19 hrs, 16 DVDs.